Home / FAQ / What is HMO insurance? An HMO, by definition, is a health maintenance organization. It is designed to coordinate the delivery of medical services to insured individuals and other covered family members. HMO’s maintain contracts with local health care providers for their services. These providers then become part of the organization’s network. Another name for this type of service is managed care. Within the network, each subscriber must select a PCP, or primary care physician. Except in an emergency, the member’s primary physician must be consulted prior to obtaining other medical services. The PCP will then refer the member to a specialist or other network provider. In most organizations, primary care physicians will offer the member a choice of network referrals based on their own experience and the member’s individual needs and home location. A primary care physician is a subscriber’s first contact and source of medical services. PCP’s coordinate and controls a patient’s care and treatment within the HMO. PCP’s are most often general practitioners or physicians that specialize in family medicine. Each family member covered under the plan would select his or her own PCP. Older adults might select a specialist in geriatric medicine as their PCP. A child would normally be assigned a pediatrician and women would most often select a gynecologist as their primary medical consultant. Primary physicians will refer subscribers for all their medical needs. Referrals are necessary for consultations with specialists, planned surgeries and hospital visits and even laboratory services such as blood work or x-rays. A major benefit of an HMO is that there are usually no deductibles or co-pays when using network providers. Within a managed care group such as an HMO, all services are expected to be obtained through network providers. The HMO will usually not cover services by outside providers. Are there other types of group health coverage? Yes, there are alternatives to HMO coverage. The first option is a PPO, or preferred provider organization. This type of group also features a network of contract physicians and medical care providers. However, a subscriber is not required to select a primary care physician and is free to choose a different network provider each time service is needed. This type of group plan also eliminates the need for time-consuming and costly referrals. Are out-of-pocket costs different for PPO groups? In a PPO, subscribers generally pay a portion of each covered service. Most provider services are subject to these partial payments, called co-payments. Established out-of-pocket maximums a subscriber must pay during the coverage year are called deductibles. These are determined in advance by the organization and set forth in the subscriber contract. Often, to avoid confusion, the co-payment fees for different types of services are listed right on a member’s identification card. Usually the plan administrator will inform members when their deductible limits have been reached for the policy year. Annual examinations and other routine visits including preventive services are usually exempt from the deductible rules and normal co-pays will apply. What other group coverage is available? A third type of provider group is the POS, or point of service plan. This program combines the benefits of a standard HMO with the greater freedom of choice afforded by a preferred provider network. 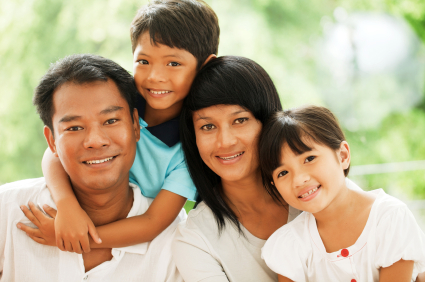 Like an HMO, a primary care practitioner is selected by each insured family member. In a POS, by selecting a provider within a subscriber’s network, there is usually no required deductible or co-payment required. Service by providers outside the subscriber’s network would still be covered however, and be subject to established co-payments and deductible fees. Are health maintenance and provider plans the same everywhere? No, as with most types of insurance, terms, benefits and costs of group health plans vary from state to state and region to region. Consumers should shop carefully and compare all available plan options in their area. Reviewing rating websites such as the Better Business Bureau and Consumer Watchdog to see what others have said about prospective insurers is also helpful. By entering your zip code now, you can get free up-to-date health insurance quotes!